One of the fun little extras offered by Disney Cruise Lines is a complimentary 5K on their private island, Castaway Cay. It’s one of those things that isn’t heavily publicized or promoted. In fact, I am willing to bet that there are many cruisers who don’t even realize a race is going on unless they see a group of people, wearing numbered bibs getting on or off the ship. 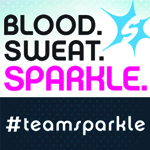 Runners can only register on board, and there are limited slots available. 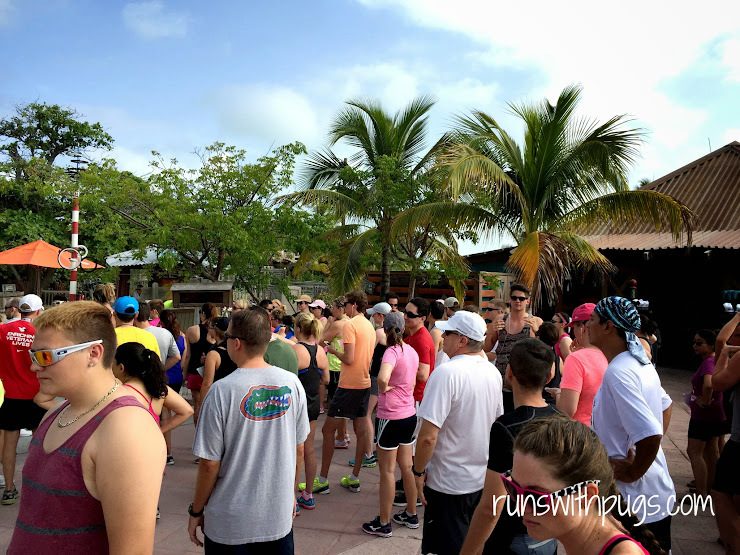 Obviously, for a runner, the idea of getting to run a 5K on an island in the Caribbean (especially for free), was pretty enticing, and I made plans with Mr PugRunner for me to scoot off on my own on our Castaway Cay day to participate. The very first thing I did upon boarding the Disney Dream was visit Guest Services to register. All I had to do was provide my name and my state room, and the Cast Member printed out a ticket with instructions for the day of the race. We were scheduled to meet in the Evolution club on Deck 4 at 8:15 on Sunday morning. Of course, I had planned my outfit out, just like I would for any other 5K. I was anxious to get going, and I had read on some blogs that sometimes things started a bit ahead of schedule so I was waiting at the doors at around 8:00. I couldn’t help myself. The doors did open a few minutes early and we were each handed a bib and safety pins and took a seat to wait for the course and safety briefing. There were quite a few stragglers, and we had to wait for all of them to get settled, but we accumulated a pretty decent-sized group. I would say there were maybe 75-100 runners. It was a motley crew: most of the crowd was attired in traditional running clothes and shoes, while others were in things like khaki shorts and sports sandals. Not the most comfortable, but I guess they didn’t want to miss out, either. We had two Cast Members who would be with us for the event. They were lovely: chipper and enthusiastic and ready to cheer us on. They talked a bit what would be happening once we got off the ship. We had all been instructed to make sure we had a photo ID (a driver’s license was sufficient) and our Key To The World card. And then they did an overview of the course. We would leave from the start line, follow the path (we would be sharing the road with trams so we needed to be sure to stay to the side), then enter the bike loop. We would continue around the loop and at the exit, would be the water stop. We were encouraged to drink up, but to please be sure to throw our cups in the garbage and not on the ground or into the foliage. We would then run down to Serenity Bay, make a u-turn, and come on back. We could hit the water stop again as we re-entered the bike loop (and again on the way out, if we so desired). And then back to the finish line. By this point, it was about 8:30 and we were finally able to start leaving the ship. I had been under the impression that we would be the first ones off the boat, but lots of guests were exiting to claim their places on the beach. The first thing I noticed when we set foot on Castaway Cay was that it was hot. Really hot. And sunny. And there wasn’t the slightest hint of a breeze. Awesome. There was about a mile walk to from the boat to the start line. I really should have timed it. We stopped a few times along the way: once for guests with children to make a stop at Scuttle’s Cove to drop their little ones in the onshore version of the kids’ club, and then again for a restroom stop before we arrived at our destination. There was a big trunk-like box available for runners to drop off personal items. It wouldn’t be locked or secured, but was fine for a running bag or something of little value. We didn’t have timing chips, but there was a clock to help everyone keep track of their time. It was a nice touch. Our Cast Members gave a few last minute instructions and reminders, and then, at just after 9:00, we were off. I have exactly zero pictures from the course. My camera decided to act up again and I didn’t have time to mess with it. I can tell you that it was so freaking hot and the sun was just beating down and reflecting back off the pavement, making it close to unbearable. The first half mile was very pretty with lots of landscaping, but the main road was rather boring. One Cast Member had ridden a bike to the water stop location and was setting up when we entered the bike loop for the first time. It would have been much nicer on a bike to at least get some whisper of a breeze. I got a quick sip of water upon exiting the loop the first time – hydration was the theme of the day – and started down the main road again towards Serenity Bay and the turnaround. The frontrunners were already looping back and we applauded each other, and then quickly tried to follow in their footsteps. Re-entry into the bike loop was… confusing. It seemed that people went into it from both sides, and I got all turned around. At one point, a runner coming back towards me pointed me to another path, maybe, and a group of us went that way. I don’t know if we ended up going longer or shorter, or what, but eventually, we were back to the water stop and in the home stretch. I was able to kick it up a notch for a finisher’s photo! We were awarded our (rubber) medal and I headed directly to the water coolers near the finish line. There was also a little store conveniently located a few steps away. 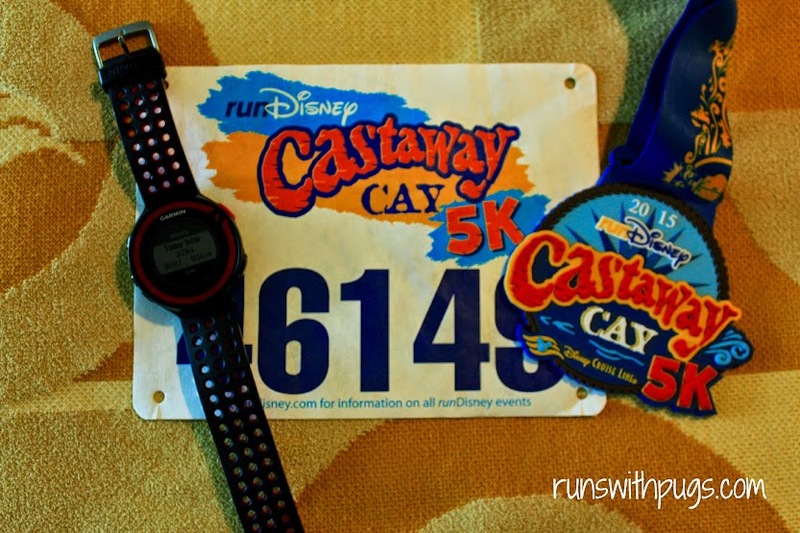 Entry into the 5K gets you a Castaway Cay 5K bib and medal, but if you want any other kind of souvenir, including t-shirts, they are available for purchase. The heat must have gotten to me, because I happily shelled out $39.95 to add this to my collection. And then it was time to head back to the ship. I had debated bringing my bathing suit along so I wouldn’t have to go back, but I was so gross and sweaty that I couldn’t imagine proceeding without a shower, even if it was just going to the beach. Event though I was without a camera, there were some Shutters photographers along the way, so I was able to get a few post-race pictures with my new bling. I checked back on board without much issue (most people were getting off, so the line to show ID and go through security was nonexistent) and got back to our stateroom in record time. I would like to say that this was as one and done for me, especially since I don’t think they will really change the medal or the bib much, but I’ll be honest. If we cruise again, I will probably want to do it again. I’m silly that way. 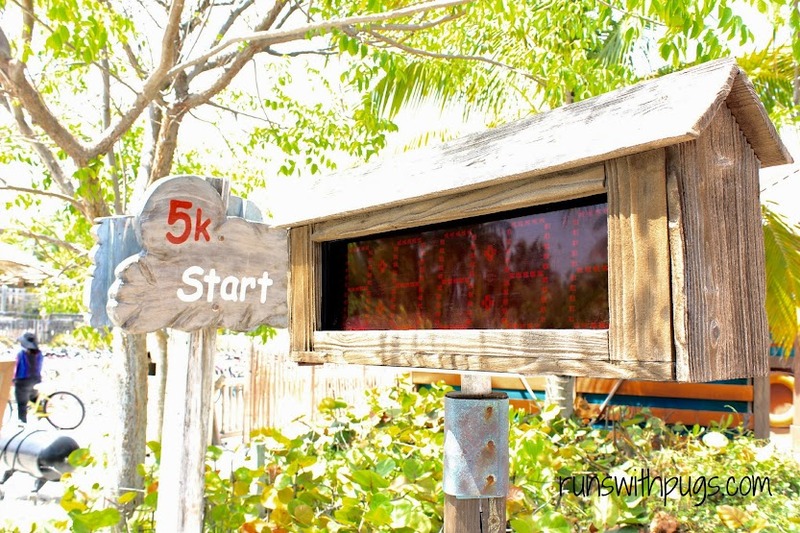 Have you ever run a destination race? Where was it? What conditions in a race are the hardest for you to overcome? hot conditions are the worst! i’m totally fine with running in cold and rain (not so much wind), but i cannot do hot weather. but i would totally do this race hahah. it’s free! Free and in the Bahamas!!! Congratulations on your 5k. That looks like so much fun. If we ever do a Disney cruise this will definitely be on our itinerary. Great photos! For a runner, I don’t see how you could pass it up! You should see what they used to give out when I ran it back in 2012. A plastic, non-descript, plastic medal with “Winner” written on the lace. I was ecstatic to get it but now that they changed it to the rubber one since the Castaway Challenge I’m dying to get the new one as well. It’s a LOT prettier. I saw pictures. The new one is far superior. I don’t know if they upgraded the bibs as well, but it’s definitely an improvement from what it used to be. Or so I’m guessing. Are you going to be making it there in the near future? Well, I don’t like waiting on a good day 🙂 But I was anxious to get running. Every second that ticked by meant it was just that much hotter. Boo on that. I had no idea they do this! If I ever get the chance to do a Disney cruise I will check into this! How much fun! Way to go in the heat! I don’t like running in it but in Central Mississippi it is what I run in most often! Thanks for a great recap! There are parts of the country where I think you get used to it, but that doesn’t make it any easier. Definitely check it out if you go. Dressed in khaki shorts and sandals to run?!?!? What were they thinking? I know! There were definitely plenty of walkers, so I can only assume the sandal wearers were among them. That being said, I have to give props to anyone who makes it a point to work out on vacation. I have never been on a cruise before and it scares me due to my claustrophobia. But you looked like you had a wonderful time!!!! It is scary, but we had a pretty spacious state room and didn’t have the need to spend much time in the corridors or inside. Having a verandah helps a lot and I love the fact that there is casino – the smoke from casinos so easily gets into the walls and the ventilation of the rest of the ship, and can make the walls seem so much closer. Oh my goodness HOW FUN! I am living vicariously through you! 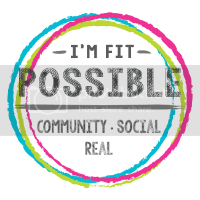 Way to still be active while on vacay!! Oh I’m all over this when we go! So fun…but a rubber medal?! I know. But it’s the same medal runDisney gives for their 5Ks and kids’ races. I don’t know the rationale for rubber. But it’s big and bright and colorful, and miles better than the plastic ones they used to give out, from what I understand. And also… I too would have bought the t-shirt. And maybe a water bottle… I really have a shopping problem. We were docked and cleared pretty early in the morning. If I recall correctly, we could have been off the boat by 8 or 8:15. It wouldn’t have been much better, but every little bit helps. 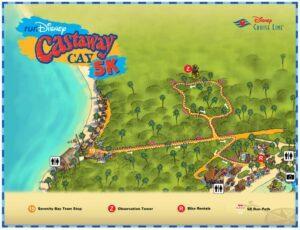 It is a similar medal that runDisney gives for the 5K. It was cute. LOL! I got a pin for my I Run 4 buddy. And then I made it a point not to look at anything else! I love that Disney offers a race and yay for complimentary! But yeah, heat like that totally unravels me. I’d still do it though! I can handle heat up to a point. But then? Nope. All done. 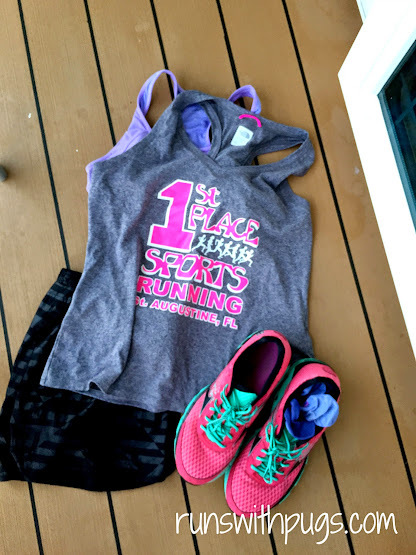 I would totally have done that race–but seriously, no t shirt? That’s the thing about Disney, isn’t it? Sounds like a fun experience, tho, in spite of the heat. Absolutely! 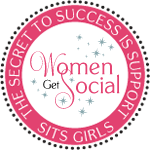 I had no idea there was a linkup! I can do race recaps for days! Sounds like a really fun experience! Congrats on the 5K. It was a ton of fun! Definitely one of the highlights of the vacation for me. What an awesome experience! The hardest condition for me is humidity. Great race photo. Humidity is definitely tough. We deal with it a lot here, so I am used to it, to a point, but it’s certainly a struggle. 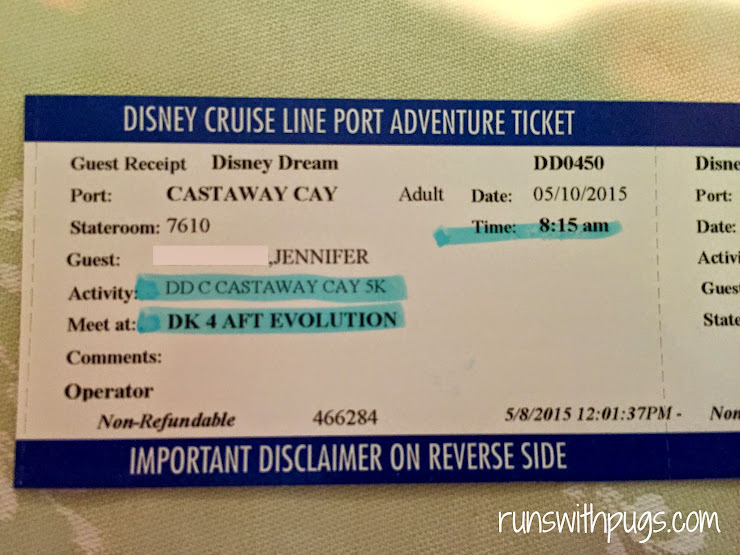 I had NO idea you could do this on a Disney Cruise! I definitely want to next time we go on one! They definitely keep it under wraps. I hope that it doesn’t get wildly out of hand so they have to scale it down, but in the interim, it’s a great time. I know! Olaf is totally my favorite! You’re right. It would have to be done! If it is free it is for me! I would have definitely ran, you are in the Bahamas, why not? Your photo looked great and it sounded like fun even in the heat 🙂 Great job! That looks like such a fun course! Plus it was free?! Even better! Sorry the course was not marked better, but if you are cruising anyway this sounds like a fun experience.